Was looking at a new issue of Hemmings Classic Car and the new 25 year old cars! What FWD vehicles do you think will be worth picking up? None, The last good one was a Cord. None. I think we can see the day when the 25 year guideline is going to go by the way side. Cars from the late 80's and early 90's are strictly from hunger. They may be considered antique by AACA guidelines but I would not hold my breath waiting for cars to show up for those classes. You are just not going to be able to find all of the computer junk necessary to get them running. If they have been locked in an air-controlled environment and only have 25 miles on them then well maybe, but don't try to drag one from a field and try to restore it. I can think of one that would be worthwhile. How about the Cadillac Allante? I'm tempted to agree with the naysayers. But remember, Model As were once deemed to plebian to collect. People in this country collect ANYTHING! Look at the ongoing discussion about Citations. It wouldn't occur to me to buy one, but there's obviously interest. One man's fish is another man's poisson. To name just a couple, Buick Reatta and Riviera. Probably also the Cadillac Eldorado. The Mazda Miata comes to mind. Almost any "special interest" model will probably have some sort of collector following. As for electronic parts, I rather expect that there will be repro or "universal" parts of some sort to work around the issue. Let's not forget people have been "saving" front wheel drive Toronados and Eldorados for decades. Is it FWD of the post '85 cars people find objectionable or is it just the overall crappy uninspired styling nature of them in general? I'm not so sure about that. There are folks coming into the hobby who are very comfortable with computers. I have found that anytime I have needed anything electronic for my 1985 Corvette, there's always at least one guy out there who can fix it - if I can't do it myself. The same will be true of the interesting front wheel drive cars - as an example, I occasionally check on the folks over in the Buick Reatta portion of this forum and what they are able to do to keep those (electronically complex) cars running. Aw c'mon, Yugos are gonna be big! My picks would be the Fiero ( although I would rather have a 1988 ) and the GMC Caballero. Any Corvette will be in the mix, although not mentioned in the article and none are the FWD drive like you asked for. So from the cars IN the article that are FWD AND a 1987 I would pick Allante. Even though I am not really into European cars, the early VW Golf and the Peugeot 205 were quite highly regarded. They and some other lesser models might only be collected because they were the first of a particular type, although I can't see a whole industry being built up around them as has happened with tri Chevys for example. There has always been controversy over what should and should not be preserved. It is always coloured by the thinking of the time. For some reason everybody wants a convertible and in many cases they are now much more common than the other styles that were sold in greater numbers and it then becomes difficult to find a plain vanilla sedan. We all know that in the past that many perfectly good classic-era sedans have been destroyed in order to create 'new' convertibles. Regarding electronics, about 10 years ago I was doing some research on '75 Eldorados. I found a young man in high school auto shop that was rebuilding one for his class project . . . a complete restoration. It had the factory FI set-up on it. He had a link to a guy who was going into the main circuit board of the FI computer and resoldering the joints which were having issues, plus checking things to see whatever else might need attention. Remember . . . these electronic components might have not been "user serviceable" when they were new, but SOMEBODY knows about rebuilding/refurbishing them, just have to find them. In some cases, just a basic knowledge of electronics and how to read the codes on the various electronic components is all that's really needed. You're not re-wiring anything, just fixing what's not as it should be . . . NOT unlike getting an older vehicle back running again. In the case of the earlier Reatta "tv screens", they had a different GM part number on them for the first years of production, BUT had a factory service center to go to for warranty repairs when they were newer. I haven't looked to see, but I believe there's still somewhere to go for their repairs. Same with the brake ABS control components (which is one main reason the Reattas got traded-in when they were newer). Don't forget about the Oldsmobile Trofeo with the optional ($3000.00) COLOR full digital instrument panel. Combine that with the optional factory cell phone that would call pre-designated phone numbers should the factory security system need to call to report the vehicle's theft. OR the first Reattas or Rivieras with the factory cell phone option . . . although now they'll probably not have any reception due to network changes. Similarly, don't forget about the niche performance vehicles Chrysler built on fwd platforms. The Dodge Omni Shelby GLH sedans, for one. Shelby Dakota pickups, too, even convertibles. Dodge Stealth and companion Chrysler Conquest rwd Mitsu-platform cars. The various Chrysler fwd performance turbo cars and K-car convertibles. The Dodge Shadow "rental car" VNT Turbo cars, too. One observed "thing" is that, generally, enthusiasts who are into the later model vehicles are NOT looking to established vehicle groups (as the BCA, AACA, etc.) to join. They might have looked at these existing groups, but it seems that they decided to go off into their own directions and build their OWN enthusiast groups (RegalGS, for example) or the MANY "groups" in Yahoo and other internet locales. And, surprisingly, many are enthusiastic about their 4-dr cars, even Buicks and other GM fwd cars (like Pontiac Grand Am J-cars). All it takes "to tango" is two and those two have grown into some sizeable communities which are completely, it seems, off of the radar of the existing larger single or multi-marque entities NOR, it seems, have the larger existing groups been successful at coaxing these newer enthusiast groups to "come play cars with us". In one respect, why should they? They've got their own organizations built so why should they also join another group? By observation, the participants in the RegalGS group might be typical "young families, living in the suburbs, with a recent mortgage, kids, bills, and limited vehicular-funding financial resources . . . and, by observation, generally under 40 yrs old". They do their own car events, locally, regionally, and probably attend some national events, too. On their side of things, "Why do we need _____?" As older enthusiasts, we must NOT be quite so quick to perceive that the younger generations of vehicle enthusiasts want or like what WE wanted or liked when we were that age. Each generation grows up with different realities which also affect the vehicles on the road during those growing-up times. If you look at coverage of the NOPI or other "tuner" weekend events, you'll see the import 2-drs, but many more 4-drs in the car show area, even stock. What many of us tend to forget that a 2-dr Camaro might have been common and reasonably useable in 1968, but a 2-dr in modern times lacks much of the utility of the '60s 2-dr cars, so if you're not single, you need a modern 4-dr car with a fold-down back seat that gets no less than 25mpg on the highway. About 13 months ago, I bought a used 2000 Impala. I started looking around for information on chassis upgrades for when I needed to replace something. What I found was a website and forums similar to the RegalGS website, but for fwd Chevy Impalas. And, from the way the posters' posts read, these were NOT the 50-somethings who typically bought those cars when new. Same with the Chrysler LH forums, of which there are many. These people grew up with electronics, computers, and fuel injection . . . whereas many of us knew what filing and adjusting points, adjusting carburetors, and having to open the hood to look at things was all about. When the Driver's Award was first proposed by Pat Brooks in the BCA, in 1999, some of the main comments were "It should NOT be for a 'modern car'". Some still feel, with all due respect, that if it's newer than 25 years old, it's just a "used car". Unfortunately, those "used cars" will be somebody's "future collectible", although WE might turn our noses up at it . . . just as in earlier times when a '63 Ford Galaxie 500/XL, 390 4bbl 4-speed, a/c, was a "used car". We weren't worried about keeping them original, just "nice", back then. Or keeping a station wagon nice as a future collectible, either! An "antique", whether the criteria is 20 years, 25 years, or 35 years, does not mean "valuable to others" or "collectible by others", but as long as the owner likes it enough to care and maintain it, that owner needs a place to show that vehicle. IF they can't find others of their orientation in established groups, they'll start their own group. But, I suspect, the word "Antique" (in fact or perceived) in the titles of many vehicle clubs might scare them off. They're not "antique" themselves so they might not desire to hang around those that might be . . . by observation. The challenge is to maintain the existing member base in existing single/multi-marque vehicle groups while still expanding enough in orientation and show classes to attract newer vehicles AND their generally younger owners. This, plus the "dual membership" necessity of many national groups can be hard-sells compared to local groups. Especially when money is involved. NO simple answers here! Sorry if I might have gotten a little off track from the original question. I drove a new FWD 1966 Toronado rental car. CERTAINLY the first several years of FWD Toronados are going to be significant collectibles. Heck I thought they already were. Us youngsters also don't respond particularly well to the constant "they haven't made a real _____ since 19xx" comments, especially when the organization claims it has a place for us. All of us tend to buy the cars we wanted when we were young - it's hard to understand why some older folks can't understand that some of us were young at different and later time than they were. But the fact is the last cars produced in the U.S. that were worth a crap were all made before 1980. The real fact is the automobile was a greater social factor in everyone's lives before 1980 than it has been for the last thirty plus years for a variety of reasons, most of which have completely disappeared. I'm not so sure about that. There are folks coming into the hobby who are very comfortable with computers.............. I occasionally check on the folks over in the Buick Reatta portion of this forum and what they are able to do to keep those (electronically complex) cars running. Buick Reatta - AACA Forums .......53 members at this moment on the forum above that are very interested in later model cars. The future is healthy, I'd say! I had a 71 Caddy Eldorado with a 500 CID engine for a while. I thought it was a very classy and collectible front wheel drive car. If I had more room, I would go after another Caddy Convertible. Dandy Dave! The Miata is rear wheel drive, as is the Toyota MR2. However the Honda CRX is FWD, as are ALL of the sport models of the Acura Integra, Mitsubishi EVO, Subaru WRX (o.k., 4WD isn't FWD but who cares? ), all Volkswagen GTI/GLI/Cabriolet models, Mini Coopers (just like the old ones), Turbo Saab, Honda Si & CRZ, Audi TT, etc. And that's just the sports car models. Then you have the Mitsubishi Eclipse, Chrysler Sebring, Volkswagen Eos, Volvo C70, Chevy Monte Carlo SS, etc...., all convertibles/coupes with substantial followings. In 1994 I helped take over the car shows at the Pittsburgh Vintage Grand Prix. They had all but collapsed previously when the then director vociferously ordered members of the Tri-Chevy Club to "get their used cars our of my show!" Even in the early 1990s it was pretty unusual to find 1957 Chevys described that way, and it took years to undo the damage. The idea that historically important items cease to be made after we become historically unimportant items is a common malady that will never leave us. It will be a miracle if my son never hears someone his age say "There will never be a collectible hybrid car." 1987-1996 Beretta GTZ/GT and Corsica LTZ- These were rare optioned cars with performance packages and I have seen a few with leather seats. 1980's-1990 Caprice- Great riding cars, nice size, well taken care of ones with many options may be worth something in the future. 1987 Cadillac Allante- Very costly when new, a lot of features and fully loaded, and it was Cadillac's first attempt at a sports car. 1990 Cadillac Brougham- The last holdout from the 1970's, the 1990 was the final upgrade of this design. They are fully optioned but, still look like the 1970's! 1986-1991 Buick Lesabre- Smartly designed and great on gas (for the size!) clamshell reverse opening hood. 3.8 and 3800 v6 engine which lasts forever. Minimal and simple computers, and very easy to work on. You see them out on the road to this day, some have the custom trim which was just cloth and crank windows, all the way up to the Limited trim, which came fully loaded with leather, premium sound, digital climate control and all the other power stuff! The 1987 redesign of the grille was good and the 1990 redesign of the tailights and grille look fantastic and classy. 1989/1990 Park Avenue Ultra- These have a super rare trim option with thick leather seats designed by lear jet I believe, and power everything, and these have a classy design. 1985/1986 Oldsmobile 98 Regency- These look very classy, lots of chrome and heavily optioned, the models with the old style headlights with the chrome look great and if you find one in black they are incredibly classy looking, especially with the vertical tailights! The 1987 redesign is not that great and looks more like an Delta 88. 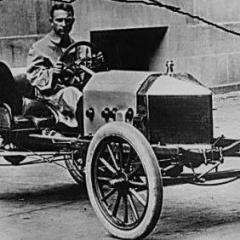 Buick Reatta- Buick's first and only attempt at a real two seater, great cars with a great story. Lincoln Mark VIII- These look good and they are luxurious! Whats funny is that I know a few of you will say "these are junk cars" and a few have already said to cut off the 25 year rule (1987) but, back in 1975 or so, my Great Uncle sold his daughter's junk car (which was in perfect condition) for $250, which they bought from his father in law for $500 just a year or two before. That junk car was a 1957 Chevrolet Bel Air! We've got an 85 Turbo, Convertible, 'woody' LeBaron sitting in the garage because one day...There's always going to be OLDER cars, but everything gets old. Not a single one of us know, we can only guess. Add to that it's not as much about the cars for most people as it is about the memories. When a person reaches the age they have the extra money and reflect back on their earlier automobile memories the market magic takes form. There is that element, including me, that enjoy cars in general and those cars that make up the memories too. That said, let the guessing begin. Everyone has their "________ hasn't made a 'real' car since ____" orientation. These observations can vary greatly from person to person and make to make of vehicle. There can even be one model's platform series which is great, the next one might not be quite that good, but the one past that could be very good. If we might not have had one of the in-between models, we might not have experienced the "down side" of things. There can be other orientations as to exterior size, type of bumpers, bright trim on or around various parts of the vehicle (windshield, back glass, lights, etc. ), engine size, or our respective age when we might have been around these vehicles. Some might use the transition to fwd by particular makes as the "line in the sand", too, but then there were and have been some really nice and very reliable fwd cars, too. January a year ago, I purchased a 2000 Impala. I was looking for a cost-effective way to get to 30+mpg on the highway and still be comfortable. I considered Chrysler fwd New Yorkers as one possibility. They show up every now and then in nice condition. I targeted $5K as my investment limit, or close to it. Some of those cars were in the price range. Or I could find one that was not-too-good condition and rebuild it. I had another car to drive while I could be doing that. But every so often, many really nice cars show up in that price range, whether it's a Chrysler fwd K-car-based vehicle, a later 1980s GM fwd sedan, or similar. When comparing those cars to more current production cars, it's amazing just how luxurious (by USA standards) these cars are! And most of them would easily do 30+mpg on a trip with the a/c blowing cold, even with their "more crude" (allegedly!) pushrod V-6s and electronics. It wasn't that long ago that one of the hot rodding magazines had an article about an old drag racer who still wanted something to race and also have reliable daily transportation. His choice turned out to be a Plymouth Acclaim sedan with the 2.2L Turbo motor. One of his long-time machine shop associates did the motor, another did the automatic transmission, and another got the few dings and such in the body . . . it was what I term "an estate car", so the mileage was still relatively low. When done, the car ran better than new and still met the other criteria . . . just like in the '60s, he'd drive to the drag strip, take his tools and such out of the trunk, swap out the "drive" tires for something stickier, and bracket race (and win, many times). Then, he'd load up his gear, change the tires back, and head home in a/c comfort. One final thought is that IF many of us are going to participate in the car hobby in the future AND drive to meets, it's going to take something that gets at least 25mpg on the highway (with a trunk that can be really used!!!) to get there and back without breaking the bank. Or turn our older vehicles into the (perrish the thought!!!!) "trailer queens". There are still many nicer '80s-'90s cars out there that could be show winners with a little tlc and investment. So many of them are "unmolested", too, because they didn't appeal to the various market demographics which sought to modify them in some way (other than possibly a killer sound system). And, they're just as much a part of automotive history (even if it's one segment that many might not have liked to be around for) as a vehicle from 1955 or whatever. Get 'em while you can! Nice, USA brand luxury makes, or whatever trips your trigger! Before they're all in the salvage yard! I can only see Cord's and first generation Toronados as collectible. Post 1970's stuff just doesn't do it for me. I get tired reading about what I'm suppost to collect based on what was a new car when I was a kid. I saw my first MERCER Raceabout in 1961 when I was ten years old, and I still want one today.